As we usher in a new year, many folks are looking to their friendly fortune teller to see what lies ahead for them in the coming 12 months. Believe or not, motoring publications are no exception as they try and foretell which cars would hit the market within the year. 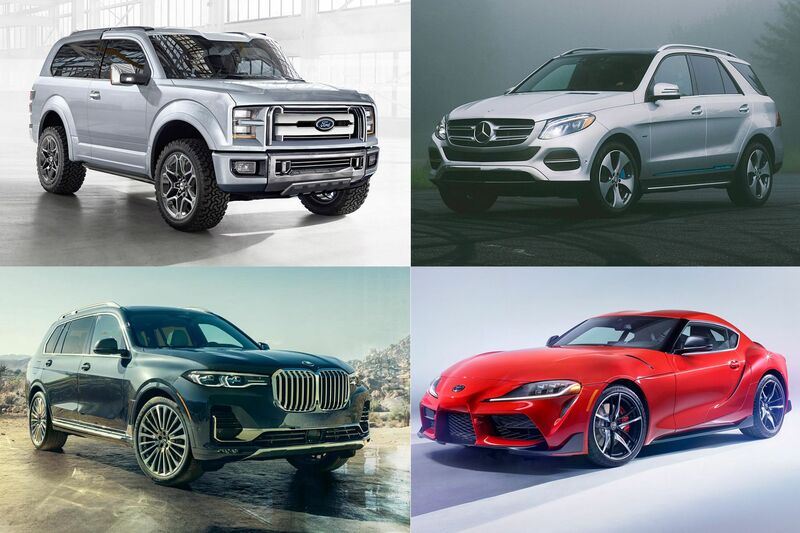 For your reading pleasure, as well as being a guide to help you decide on your next car purchase, we serve up some of the most eagerly–awaited models that may hit our local roads real soon. If you’ve been following your favorite motoring websites over the past few months, you’d know that the Four Rings German brand has unveiled its flagship SUV, the Q8. Sharing platforms with the seven-seat Q7, this one is a strictly five-seater that gives owners a mix of hatchback practicality and SUV versatility. Needless to say, it has all the tech we’ve come to expect from Audi packed into a svelte bodyshell. Yes, you read that right. The X range now has a full-size 7-seater known as the X7. It’s big, luxurious, and packs a whole lot of tech and luxury items. Being a BMW, we can expect it to drive just as advertised: with sheer driving pleasure. This is the eighth-generation of this venerable American muscle car. Yet it is no ordinary Corvette as rumors have been floating around that it will be the very first mid-engined iteration in the nameplate’s more than six-decade history. If you grew up in the 1980s, you’d probably rember this nameplate as being one of the first iterations of what we know now as the modern Sport Utility Vehicle. Ford plans to revive it (as retro is now en vogue), albeit with more modern styling and tech. With the latest-generation Toyota Camry making its way to our local market, its erstwhile rival, the Accord, can’t be far off. True enough, Honda Cars Philippines will be launching a bolder-looking midsize sedan soon. What remains to be seen is if the Japanese carmaker will bring in the vaunted 2.0-liter turbo-4 from the Civic Type R that powers all to-spec Accords in other amrkets. Take a rugged Jeep Wrangler and give it a pickup bed and this is the result. This is the vehicle for those that want the all-conquering capabilities of the Wrangler yet need more cargo-carrying capacity. While Mazda designs have been truly bold as of late, the latest iteration is arguably the most daring thus far. Apart from its bold styling, what really whets the appetite is the SkyActiv-X variable compression gasoline mill that promises the power of a petrol and the fuel efficiency of a diesel. One of the purveyors of the mdern luxury SUV, the M-Class, now debuts in its latest guise. It’s got loads of tech goodies, potent engines, seven-seat capability, even more safety kit, and of course, the three-pointed star to boot. From a workhorse more than a few decades ago, the Strada has morphed into a sleek and stylish lifestyle vehicle that can still haul cargo when called upon to do so. It shares the Dynamic Shield front end with the Montero Sport and Xpander, as well as the tried-and-true architecture that can go just about anywhere its owner will take it. With other midsize sedans getting a makeover, Nissan’s own offering naturally follows suit. Styling is arguably one of the boldest, while the powerplants now feature a Variable Compression motor for the best of both worlds. The eighth-generation 911, the 992, recently debuted and needless to say, every Porsche aficionado is eagerly waiting for it to arrive on our shores. Sure, it shares the overall profile of its predecessor. But that’s kind of the point, right? And it likewise gets more power under the rear bonnet—in true Porsche fashion. Yes, this car may be modern in every sense of the word. Yet it is still a 911 at heart. The long-awaited fully-electric sports car from Porsche will son hit the road. Its electric motors are said to produce something like 600 or so horsepower, capable of bringing the car to 100kph in just 3.5 seconds. All this while still allowing owners to run up to some 500kms on a single charge. As the 7-seat SUV game heats up, we can expect the likes of the Ascent to hit our local roads within the year. This one gives Subie fans the chance to experience Subaru’s famed Symmetrical All-Wheel Drive and turbo boxer engine, all while carrying the entire family. Unless you’ve been hibernating over the last few months, you’d now that Toyota is about to re-launch one of its most coveted nameplates, the Supra. Whie no final detals have been given, this one promises the same driving pleasure that made the previous generations such a hit among fan boys back in the 1980s and 90s. So there you have it. Just some of the most anticipated cars that could hit our shores or the global motoring scene within the next few months. Not only is the lineup truly diverse. It promises to liven up the automotive landscape even more.